What is the most expensive video game controller that you can think of? Maybe it's ColorWare's $300 24K Gold controller for PlayStation 4 and Xbox One that came out a few years ago and quickly sold out. Perhaps the Thrustmaster 2960720 HOTAS Warthog flight stick at $450 came to mind. Or maybe the $1,300 Forza Motorsport Racing Wheel and Pedals from Fanatec for PC and XB1 is what you were thinking. 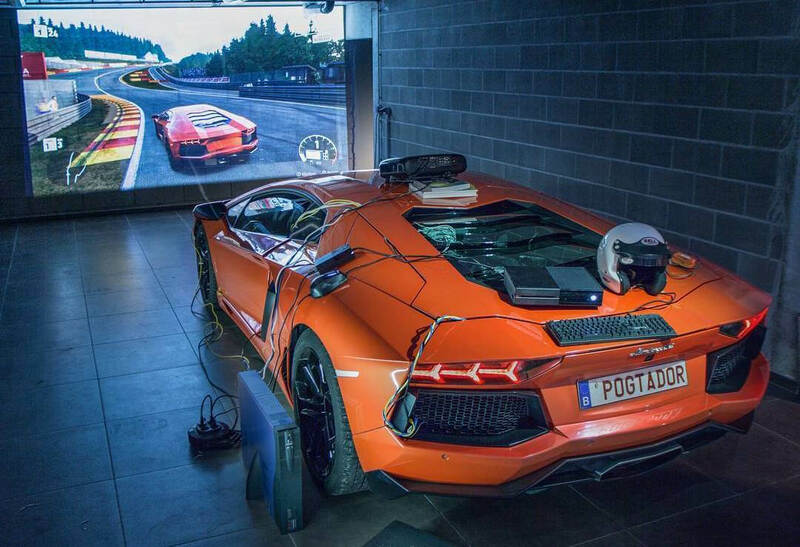 A French car enthusiast who goes by the handle POG on Facebook, Instagram and YouTube turned his Lamborghini Aventador into a controller for his Xbox just to play Forza 7. Now I have no idea how much he paid for his Lambo but I do know Aventadors start at $400,000 and go up from there. It would be safe to say that this is the most expensive Xbox controller ever made. It is not, however, the first car to ever be used as a video game controller. The Nissan Urge concept car (produced back in 2006) had an Xbox 360 built into the trunk. When parked, you could play Project Gotham Racing 3 on a 7-inch in-dash screen using the pedals and steering wheel. The car never saw actual production so it never received a list price but you can be sure it would have gone for less than $400,000. I guess doing 190 kph to the video game store in an Aventador just isn't as thrilling as turning it into a controller and playing Forza 7 in it. Call him crazy but if you can afford to turn your Lambo into a game controller and still have a Ferrari and McLaren parked in the garage, I doubt you care at all what people think.